The 4th Guangdong International Printing Technology exhibition draws attention of global printing industry. The PRINT CHINA 2019 International Media Week Conference was held from January 8-10, 2019. A report. 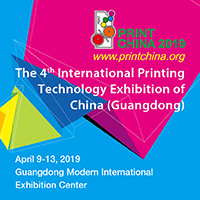 The 4th International Printing Technology Exhibition of China (Guangdong) (PRINT CHINA 2019), co-hosted by Printing and Printing Equipment Industries Association of China (PEIAC), Printing and Replicating Industrial Association of Guangdong and China International Exhibition Center Group Corporation, and undertaken by Print China Show Company and China Print Show Company will be held on April 9-13, 2019 at Guangdong Modern International Exhibition Center. At present, sales of PRINT CHINA 2019 booths are coming to the end. It is expected that more than 1,200 exhibitors will attract more than 200,000 professional visitors from China and around the world in an exhibition area of 140,000 square meters. In order to fully introduce the preparations for this exhibition to the exhibitors, professional visitors and media at home and abroad, PRINT CHINA 2019 organizers held the PRINT CHINA 2019 International Media Week on January 9 at Dongguan Lung Chuen International Hotel. Representatives of the print media, printing industrial associations and delegators of Asia Print from over 20 countries and regions including Russia, Philippines, South Korea, Malaysia, Bangladesh, Thailand, United States, Italy, India, Indonesia, Vietnam, Hong Kong, Macao and Taiwan, besides nearly 200 persons including leaders of the press and publication bureaus, printing, packaging and publishing associations, domestic professional media representatives, public media representatives, and representatives of major exhibitors from 46 provinces, autonomous regions and municipalities attended this International Media Week. The guests from all over the world gathered in Dongguan again to focus on the 4th International Printing Technology Exhibition of China (Guangdong). The event was hosted by Wang Fengna, Vice Secretary-General of the PEIAC; Xu Jianguo, Chairman of the PEIAC and Yang Jixuan Director of Printing Department of Guangdong Press and Publishing Bureau, delivered a speech; while Zhao Hui, General Manager of China Print Show Company Limited introduced the latest progress of preparations for PRINT CHINA 2019. “The 4th Print China will accurately and vividly reflect the technological innovations most concerned by the international printing industry from the international perspective and strategic heights, as well as the most cutting-edge development trends, which will make the exhibition truly become a weather vane, navigation station and booster for the global printing industry to realize a healthy, balanced and sustainable development in the new era,” said Jianguo. During the event, representatives from the 10 exhibitors including HP, Tianjin Masterwork, Heidelberg, Konica Minolta, BOBST, Komori, Koenig & Bauer, Zhongde Group, DINGA and Founder delivered wonderful speeches on such topics as their respective exhibition plans as well as the new technologies and new products to be launched at the show. Finally, Lu Chang’an, Vice Chairman of the PEIAC, gave a concluding speech. “The 4th PRINT CHINA will make an boutique exhibition featuring high-level and high-quality contents with strong guidance and broad focuses. The theme of this exhibition is: “Intelligence Guide, Fusion & Innovation, Service Transformation, Green Development.” In the context of stronger complementary effects between traditional and emerging industries, more obvious dynamic aggregation characteristics and more prominent competition, cooperation and coexistence relationships, the industry has reached an consensus on seeking development through the “green, digital, intelligent and integrated” road. Therefore, in terms of exhibition arrangement, the exhibition specially sets up ten major display sections including Digital Prepress, Printing Machinery, Post-press Processing, Package Printing, Label Printing, Advertising Inkjet, Corrugated Cartons, Screen Printing, Equipment and Consumables, Comprehensive Support, etc. Moreover, five thematic areas including Internet + Intelligent Packaging, Intelligent Robot + Printing, 3D Printing, VOCs Comprehensive Management, and Laser + Printing are opened. The exhibition in April will present new achievements of intelligent manufacturing, new progress in fusion and innovation, new models for service transformation, as well as breakthroughs made in green printing technologies,” he shared. On the evening of January 9, the organizers also held the “International Printing Industry Gala Dinner,” and the global printing industry insiders gathered to seek development way of printing industry and jointly create a bright future for the global printing industry. During this international media week, the organizers also held a series of conferences and events. On January 8, the organizer held a symposium on the printing associations of various cities in Guangdong Province, and discussed in depth about the professional visitor organization and other related services. On January 10, the overseas media representatives who participated in the International Media Week visited Guangdong Modern International Exhibition Center to experience the new changes of the exhibition hall. They also visited Guangdong Lishunyuan Intelligent Automation Co., Ltd. and Dongguan Xinfufa Paper Co., Ltd. for more understanding of the development status of Chinese printing companies. On the afternoon of January 10, representatives from the printing associations of 46 provinces and cities nationwide held a symposium for the printing associations of various provinces and cities nationwide, also the annual meeting of 2018 working committee of institutional members, to contribute ideas for the exhibition. 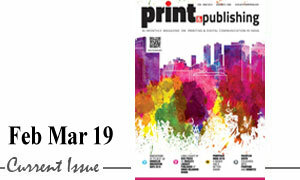 Since the launch of PRINT CHINA 2019 in May 2017, it has been gaining wide attention and great support from the industry, making it going smoothly. Up to January 31, 2018, approximately 300 exhibitors made their applications with the total reserved booth area exceeded more than 40,000 square metres. PRINT CHINA 2019 will be occupying 140,000 square metres as its floor area. It is estimated that more than 1,200 exhibitors and 200,000 visitors will be participating in the fair.